Happy New Year from the Moostash Joe Tours family! We’re so excited about what 2018 has in store and we cannot wait to tell you about all of the great, new, exciting tours and destinations we have planned. January has always been one of the busiest months for us in the office. Most of our bus tours from Nebraska fill up very quickly and we want to make sure you have the opportunity to reserve your seats! There are a few bus tours in particular that we hand-selected in our Winter Newsletter this year that we wanted to tell you about first before it’s too late! You’ll also find some exciting news from the office towards the end. Looking forward to another fantastic year helping our travelers experience the majesty and wonder of God’s creation through travel! Featuring the Virginia International Tattoo in Virginia Beach! What is the Virginia International Tattoo? Voted one of the most exciting events in the world and ranked #1 in the American Bus Association Top 100 Events in North America, the Virginia International Tattoo is the largest spectacle of music and might in the USA, offering an astounding display of inspirational military music, regimental bands, massed bugle ensembles and fireworks! Aside from the Tattoo itself, this tour features the areas most inspirational and historic military sites and attractions. As one of our most-talked-about NEW TOURS for 2018, we’re thrilled to offer such a patriotic tour honoring our Nation’s freedom as well as those who fought to protect it. Seats are filling fast. Click the flag above for detailed information! Year after year, our Gulf Coast Adventure tour is one of the best-reviewed, most popular and most all-around fun tours of the Spring season.Featuring the Gulf’s best destination cities, an incredible variety of attractions, first-class hotel accommodations and the most, delicious, local food you’ll ever eat. We just know you’ll love this one. Both dates are already almost half-full. Don’t miss out! Click the pelican above for complete tour details! Featuring two not-to-be-missed Broadway Shows! BEAUTIFUL tells the inspiring true story of King’s remarkable rise to stardom to becoming one of the most successful solo acts in popular music history. For over 25 years, The Phantom of the Opera has been THE must-see Broadway musical, along with its timeless story and unforgettably stunning spectacle. Click Lady Liberty above for complete tour details! Hip Hip Hooray! Happy Birthday to our very own Nancy Watters! For those of you who don’t know Nancy, she has been working hard in the office for over 3 years now. If you’ve been on a tour before or even just inquired about a tour, she’s most likely the one you had a conversation with! This birthday marks a significant milestone which means we’re celebrating all month long, so next time you call in or stop by, make sure to wish her a happy birthday! Joey and John Spellerberg are once again headed to the American Bus Association’s (ABA) annual Marketplace! This year’s Marketplace, located in Charlotte, NC at the end of the month, features thousands of people and bus travel-associated companies from all over the United States gathering to create relationships and share ideas. With over 200 separate meetings scheduled for EACH of them, they are committed to being the first to market and on the cutting edge of the industry, giving you the best possible tour and the most value for your money. Way to go, Joey and John! This entry was posted in Newsletters and tagged adventure, bus tours, bus tours from Nebraska, Moostash Joe Tours, tours, travel on January 12, 2018 by Moostash Joe Tours. Moostash Joe Tour is always trying to take our passengers to new and exciting tour destinations! Our website in always being up to date with our latest bus tour schedule so you can start your planning early! If there is a tour that you are wanting to sign up for, don’t wait, even if the due date in not for a while. All tours sell out quickly, and you never want to hear the words sold out! As mentioned in prior news articles, we have added some new 1 day tours for 2015, and there are many new exciting tours being scheduled for 2016! Below are the new tours added to the schedule for 2016! Click on them to reach the tour page! We are extremely excited about our new tour celebrating the centennial of the National Parks Service. We are going to many places we have never taken our clients to before! This tour is sure to be a once in a lifetime opportunity. Click on the above tour links for more information on our new motorcoach tours for 2016. Hope to see you traveling with us very soon! This entry was posted in Announcements, Latest Tours and tagged bus tours, bus tours for seniors, bus tours from Nebraska, motorcoach tours, tours on April 29, 2015 by Moostash Joe Tours. New 1 Day Tour for 2015! Amish Experiences! We are happy to announce another great one day Motorcoach tour for 2015. We will be taking you to Pawnee City, NE. A town known for its Amish Community, Museums, and shopping! 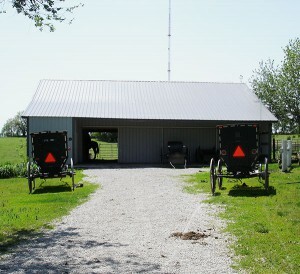 More than thirty Amish families live on farms in the Pawnee City area. You’ll find Amish-run “Kuntry” stores, carpentry shops, harness makers, buggy shops and more. New Amish families move here each year, introducing an increasing variety of business to the area. Click Here to read the most recent article on Pawnee City’s Amish Community in the Omaha World Herald! The date of this tour will be Wednesday, August 12, 2015. Price will be only $145 per person (with coupon). This bus tour will leave from Norfolk, Omaha, Fremont, and Lincoln. Click below to visit the tour web page. Amish Experiences Web Page! Click Here! This entry was posted in Announcements and tagged bus tours from Nebraska, motorcoach tours, tours, tours from nebraska on April 9, 2015 by Moostash Joe Tours. Celebrating Easter and the death and resurrection of Jesus Christ reminds us here at Moostash Joe Tours to give thanks to all of you, our amazing travelers! Everyday it is a pleasure to serve such wonderful people and make your travel dreams a reality. There is so much beauty in this world, and our mission is to make sure you can experience all the majesty and wonder God’s creation has to offer us. He created beauty in this world to enjoy and see, and we believe that exploring His creation can only deepen our relationship with him. If you are on the fence about taking a tour, there is no better time then now! Don’t let life pass you by, get out, be active, and explore this beautiful world! We have over 90 different tours in our inventory, and are going almost anywhere you could think of. There is only so much life we have to live, and you were meant to live it out to the fullest. Getting out and taking a bus tour will introduce you to a whole bunch of people with the same likeness and love to travel! We have a saying, “Come as strangers, and leave as friends”, and that is for sure true! We have been in the tour business for over 40 years, so leave the planning to us! All you have to do is get on the Motorcoach and enjoy the tour. May God bless you this Easter, and may he continue to reveal his grace to you as you experience his beautiful and majestic creation through travel. If you are on the fence, now is the time. I invite you to join us on one of our 90 different tours. You will be glad you did. This entry was posted in Announcements and tagged bus tours, motorcoach tours, tours on April 3, 2015 by Moostash Joe Tours. I know we have had a lot of people asking for this tour, and now the planning is complete. We are now ready to take reservations on our Athens and Greek Isles Cruise Vacation, October 8-16, 2015. This new tour is sure to be a memorable tour! Please click the brochure link below for more information! Click Here for Athens and Greek Isles Cruise Vacation Brochure! This entry was posted in Latest Tours and tagged Greek Isles Cruise, tours on February 25, 2015 by Moostash Joe Tours.